As expected, the theory of evolution, a foundation of modern science and medicine, will be under fire again this coming legislative session in Oklahoma. Two bills have been filed that would require school districts to help teachers address so-called “scientific controversies,” which, for creationists, primarily means evolution, a scientific theory that argues the natural world and humans have developed over time. The State Board of Education, school district boards of education, school district superintendents and school principals shall endeavor to assist teachers to find effective ways to present the science curriculum as it addresses scientific controversies. The religion of evolution requires as much faith as the belief in a loving God, when all the facts are considered (mainly the statistical impossibility of key factors). Gasp! Someone reading this just fell out of their enlightened seat!!! “It’s not a religion as it’s agreed upon by the entire scientific community,” some are saying at this very moment. Are you sure? Let’s explore the facts. Consequently, SB 758 appears to be yet another backdoor attempt to distort valid science in high school curriculum with religious concepts, undoubtedly Christian concepts, such as intelligent design, about how the natural world developed. The National Center for Science Education also argues it’s clear Brecheen is modeling his legislation on Tennessee’s so-called “Monkey Law” legislation, passed in that state in 2012. 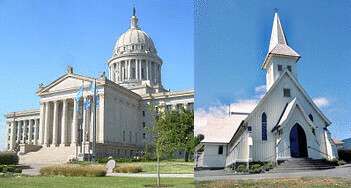 The Legislature further finds that the teaching of some scientific concepts including but not limited to premises in the areas of biology, chemistry, meteorology, bioethics and physics can cause controversy, and that some teachers may be unsure of the expectations concerning how they should present information on some subjects such as, but not limited to, biological evolution, the chemical origins of life, global warming, and human cloning. Note also the reference to “global warming” in the bill, which is the most severe problem facing the planet right now and is almost certain to negatively impact our students’ lives in years to come unless we start now to limit manmade carbon emissions. Obviously, this short-sighted bill aims to discredit climate-change science. Students may express their beliefs about religion in homework, artwork, and other written and oral assignments free from discrimination based on the religious content of their submissions. Students shall not be penalized or rewarded on account of the religious content of their work. In other words, teachers would have to allow reductionist religious challenges to basic scientific information. The bill would also allow students to speak about a “religious viewpoint” in public forums at school. As I’ve noted, bills similar to the ones submitted by Brecheen, Blackwell and Reynolds have been introduced before in the Oklahoma Legislature but have never been signed into law. These bills and previous bills are based on many fallacies but especially this one: There is no controversy about evolution. It’s only a manufactured controversy by right-wing religious folks, who think the theory of evolution challenges their Biblical beliefs in how the world began and developed. Just like with global warming, there is no major scientific controversy; all the controversy remains outside of science, though creationists have created the faux science of intelligent design to advance their religious agenda. Intelligent design, which a federal court has ruled is NOT valid science, argues that the world is so complicated in its natural forms that it had to be created by a designer, i.e., wink, wink, the Christian version of God. Anyone concerned about the scientific method, academic integrity, our public school children and the state’s national and world image should oppose these bills, which should be viewed as extremist and radical. Let’s don’t dumb down our students. Evolution and global warming, and other scientific concepts, will still be taught in other parts of the country and the world. Our students will get left behind and many will be embarrassed to live here.